Chicken: For blackened, season chicken breasts in provided blackened seasoning. For plain, season with salt & pepper as desired. Grill: Preheat to 400F. Grill chicken breasts 5-6 mins per side or until cooked through. Bake: Preheat oven to 375F. Heat 2 tablespoons of oil in a saute pan. Sear chicken 2 minutes per side. Transfer to pan and bake in the oven for 10 minutes or until cooked through. Pasta: Cook fettuccine pasta in boiling water for 13 minutes or to desired tenderness. Drain water. 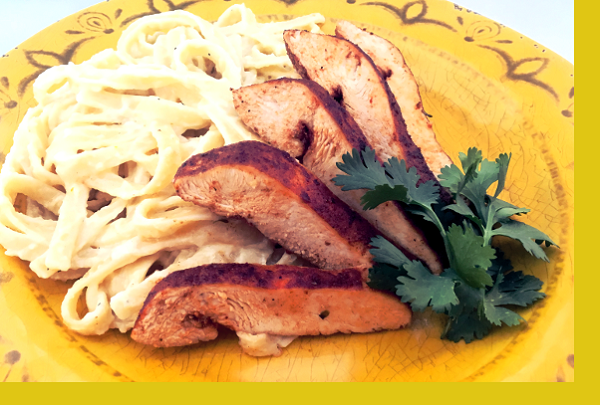 Reheat Alfredo sauce and toss with pasta. Delicious alfresco sauce! !creamy and well seasoned. Paired with blackened chicken which I never would have considered. It was excellent! Portions were very good. We had leftovers. I thought this dish would be a slam dunk, but the alfredo turned out plain and bland. I didn't care for the blackened seasoning, and there's no alternate seasoning included. 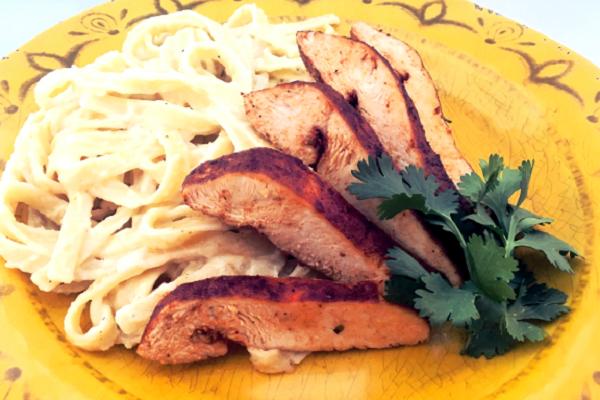 We loved the seasoning of the blackened chicken and the creamy alfredo sauce. It was very easy to prepare!